Each of these behaviour chains is excellently filmed and close-ups are provided to highlight the perfect time to deliever reinforcing rewards. The footage is clear, stable and perfectly accompanied by Barbara’s easy to digest narrative. The editing is excellent and each training sequence offers a concise learning experience for the viewer. 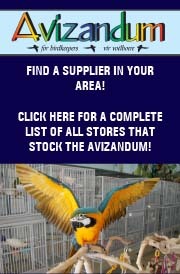 This is essential addition to the companion parrot owner’s toolkit – Highly Recommended. 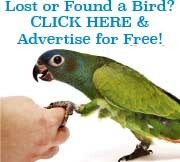 Companion parrot enthusiasts finally have access to a visual resource offering a ‘true’ presentation of positive reinforcement training in action. This DVD offers a perfect introduction to positive reinforcement and how it can be effectively used to capture and shape the behaviour of our companion parrots. Barbara explains the concept of positive reinforcement and how the parrot owner can identify different reinforcers that may be applied to the training of their bird. An excellent discussion on the difference between positive and negative reinforcement forms part of the introduction and the clear and concise method of explanation of training and behaviour terminology is a consistent highlight throughout the DVD. Viewers will learn how to establish all of the essential training tools and methods involved in delivering a ‘cue’, ‘bridge’ and ‘reinforcer’. 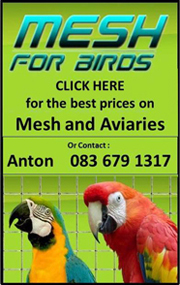 Explanations are provided for each of these as part of the introduction and then followed with excellent practical examples in the context of ‘live’ training with previously untrained birds. 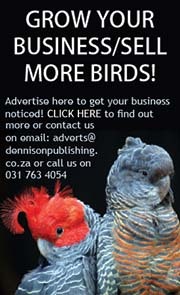 An essential reference for both novice and experienced parrot enthusiasts alike. 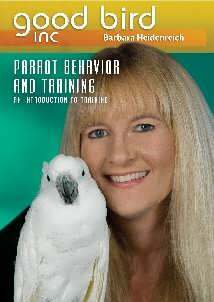 Be the first to review “Parrot Behaviour and Training – An Introduction to Training (DVD)” Click here to cancel reply.